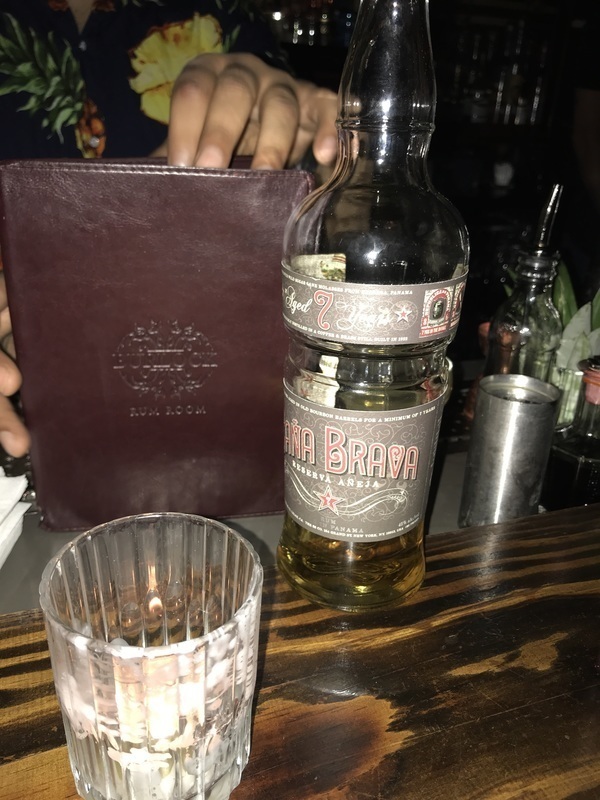 Have you found an online vendor selling Cana Brava 7-Year? Poor ratings, but I really liked it. Good mixture of spice and smooth, nice tangy finish. Best part for me is the chocolate taste about mod way through. Give it a try! Lacking flavour and body for a rum of this age. Light in colour with a medium flavour of alcohol with little depth. Nice fruity aroma, but first taste is strong burning. After you can recognize sweet and honey taste but weak and not complex. Aftertaste is short and still burning. Recomended only for mixing. I went to my favorite Tiki Bar called Latitude 29 by Beachbum Berry this evening to sample one of two rums that are mainly available in Texas. I sampled this one neat as well as another one. This one is a staple mixer in Latitude 29 and now I can see why. It is definitely on the dry side with just the right amount of sweetness. I sipped mine neat and this one would work as well on the rocks or as a mixer. As we all know, one cannot judge a rum from just one glass alone since the flavors change based upon remaining volume in the bottle. Update August 2, 2018: It has taken me four months to finally get my hands on a couple of my own bottles. At $42 each, the price may seem high for 750 ml, but it is bottled at 90 proof. The wait has been worth it and my original rating stands at a 7. This is what pure rum should taste like and with no charred oak flavors from barrels. Cheers to Don Pancho! Ordered at a restaurant and was not wowed. It mixed okay with Coke, but nothing special. Is a 4.5 on my scale. Cana Brava 7y surprised me a lot since the nose test reveals an explosion of floral scents and fruits. Unfortunately the taste test is not that good. Very mixed bag of too many flavors and a surprisingly strong burn at the end. Notes of cloves, ginger, tea leaves, oak and dark brown sugar this rum is on the smooth side. The brown sugar compliments the rather dry finish of the rum. Much better than its younger sibling the 3 year old. Matured for 7 years in ex-bourbon casks, this rum from Panama doesn't disappoint. The price tag is the only issue I have for their two rum portfolio. For the price, their are numerous other rums out there that have better taste and value for the buck that are comparable in price or for less money. Enjoy neat and also makes a wonderful addition to your collection. The bottle style is designed to help bartenders with the ease of picking up and holding the bottle. Not something I would buy to sip. Maybe it works with mixers. The suggested subject title says it all really, easy, but bit tasteless. Midweek rum, nowt special in my opinion, finish doesn't last long enough and is mild vanilla with a touch of oak.